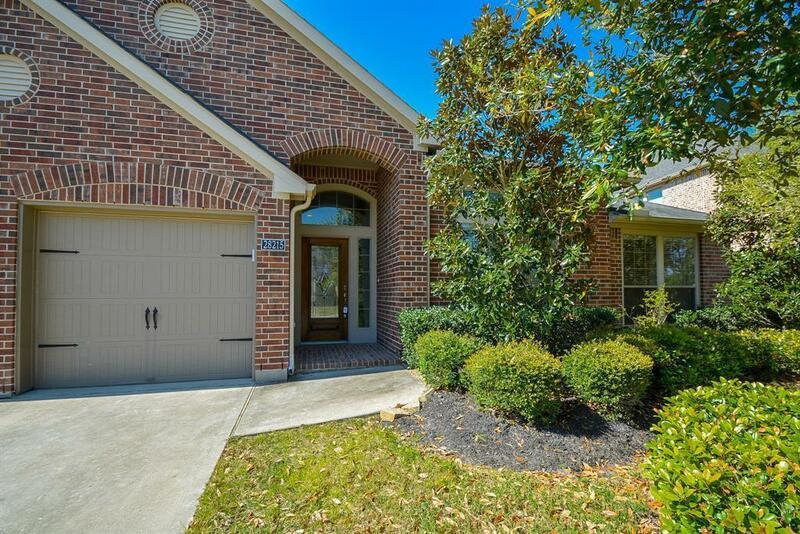 Rare 1.5 story with all bedrooms downstairs and game room space upstairs! 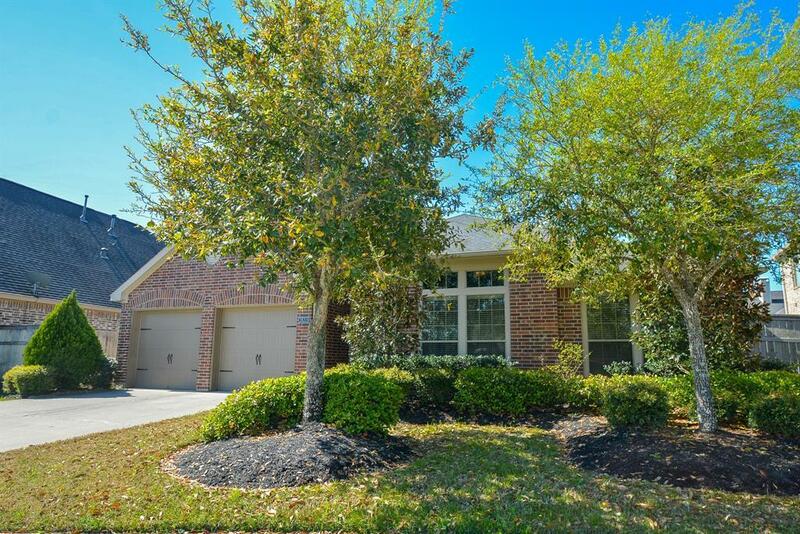 Tall ceilings, rich tile wood-look flooring, arch-ways with an open floor plan. So many great features here! OPEN Dining, kitchen and living room flow well together and makes for a flexible space as well as easy entertaining or gathering spot. Kitchen has granite counters, breakfast bar and recessed lighting. Master is quietly tucked away in this split-plan home. Master bath has separate tub/shower, two sinks, large closet and upgraded fixtures. The space upstairs is HUGE and has tray ceiling and a closet.. Would make a great game room or can serve multiple purposes! The options are endless! 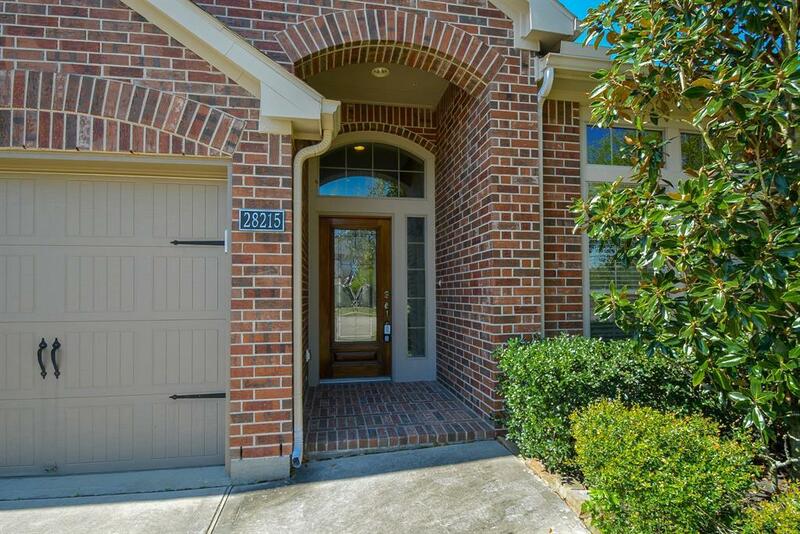 Sweet subdivision with a lake, ducks, outdoor natures space...All of this in the Heart of Katy so close to Hwy 99, I-10 and Hwy 290...easy commutes in town, west to the Hill Country and a variety of employment districts. Lots of retail and eateries in the area. Like new without construction all around! Listing courtesy of Sanders Family Real Estate.